Every parent always wants their child to address them first before their parents. A father will always try to push their son/daughter to say ‘dada’ first before ‘mama’, but whatever they say first, everyone finds it adorable. 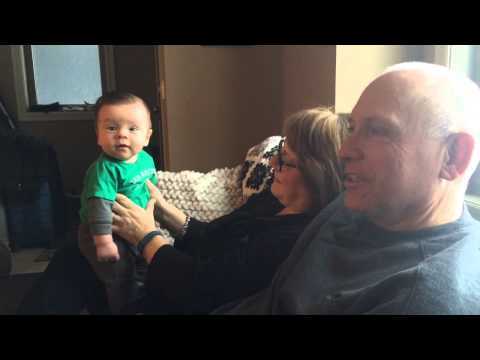 This little brave boy was chilling with his grandparents and they were trying so hard to make him say his first words. The grandparents spent a whole evening with their grandchild, and what he ended up saying left them all in shock.